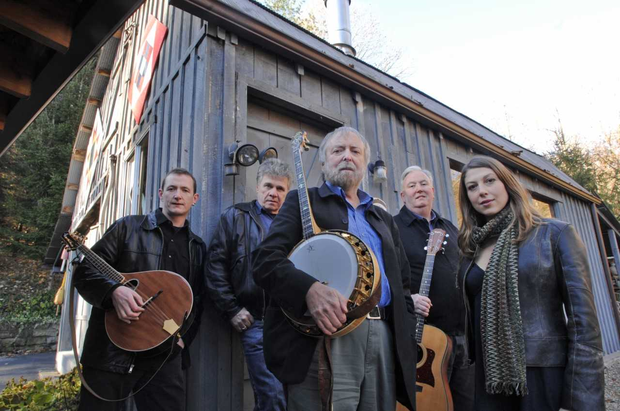 Having headed up music ensemble Green Fields of America for forty years, Mick Moloney knows a thing or two about Irish American music. The perception among many people on this side of the pond of Irish American music is something akin to Maureen O’Hara singing Isle of Inisfree in The Quiet Man. However, Moloney says there’s more to the genre than that. “A lot of people think Irish American songs are Danny Boy and Irish Eyes are Smiling but there’s a much bigger picture than that,” he says. Green Fields of America will perform in Dublin Castle on May 21 as part of the programme for Coming Home: Art and the Great Hunger exhibition and Mick says they have tailored their set list to suit the subject. “Because it’s the famine exhibition we’ll concentrate on themes of leaving, immigration, settlement. I think it’ll be very enlightening for Irish people because most of the material they won’t be familiar with,” he says. “[The songs] go back to the famine itself and even before that to the Scots Irish immigration [to the US], as well as new songs like Robbie O’Connell’s Shores of Newfoundland about emigration from Cork and Waterford to the banks in the mid 19 century. Mick says the accessibility of ancestry.com has led to many more Americans reconnecting with their Irish roots, and an interest in the collective’s music. Born in Limerick, Mick moved to the US to study 45 years ago but he has always been back and forth to Ireland regularly in that time. It was while he was studying in Philadephia in the 70s that Mick met fellow musician Ralph Rinzler, Director of the Smithsonian Folklife Festival, which attracts a million visitors to Washington every July. Ralph was so impressed by Mick's talents that he asked him to put together a group of traditional Irish musicians and dancers to perform for the Festival's Bicentennial in 1976. In the course of his search, Mick happend across a 17 year old step dancer named Michael Flatley. Rinzler wasn't convinced by Flatley, but he trusted Mick's judgement. Flatley’s fellow Riverdancer Jean Butler later joined the group at the age of 15. Mick says ‘every dog and divil’ has been a part of the collective at some point including Seamus Egan, Eileen Ivers, Joanie Madden, Dennis Cahill and Liz Carroll. He adds, "We’re all great friends and it’s lovely to play music with your friends. It’s something special for us coming back to Ireland, especially the Irish American musicians coming back to the ancestral homeland. There’s a great buzz about it and for us as musicians we hope people who come will hear stories and songs they might not be familiar with." Coming Home is the largest collection of Famine-related art in the world. The exhibition is being shown at Dublin Castle until June 30th before it moves to Uillinn West Cork Arts Centre in Skibbereen on July 19th until October 2018 and finally to in Derry in January 2019. This is the first time the exhibition has come home to Ireland, it has travelled from Ireland’s Great Hunger Museum at Quinnipiac University in Hamden, Connecticut.